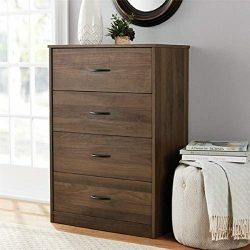 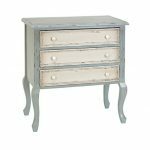 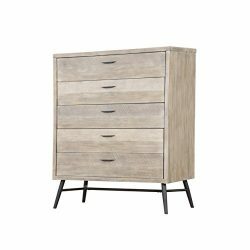 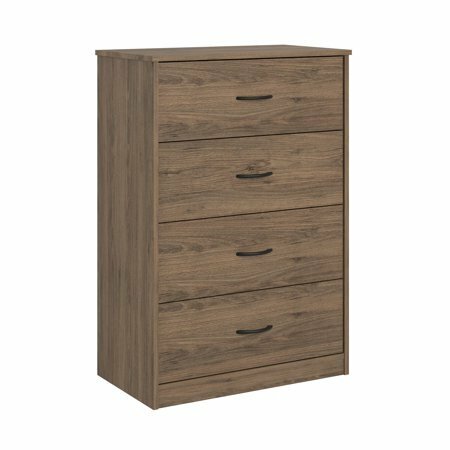 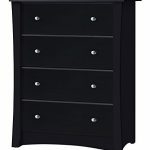 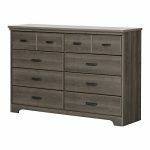 The Mainstays Emery 4 Drawer Dresser will offer up more than enough room for you to keep clothes off the floor. 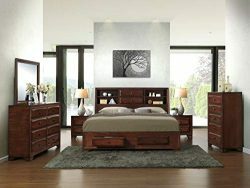 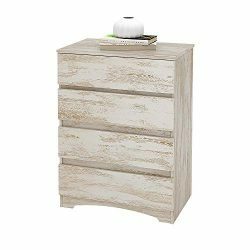 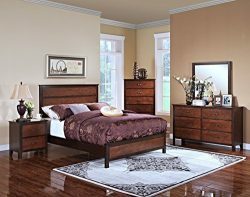 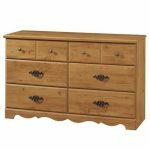 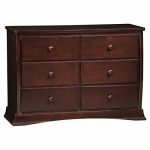 The rustic brown oak finish on the laminated particleboard gives the Dresser a classic look that fits into any style. 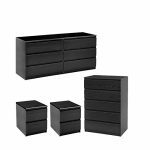 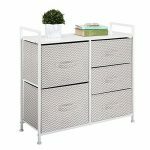 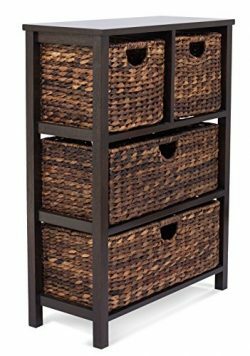 The 4 drawers feature durable metal slides and can store your jeans, sweaters, and extra linens. 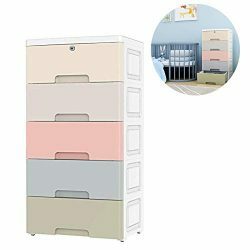 Each drawer is finished in a linen look paper to keep your clothes from snagging on raw edges. 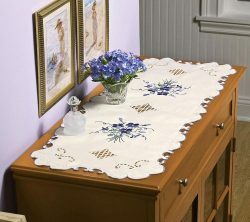 A wall anchor kit is included to prevent tipping injuries and keep your family safe. 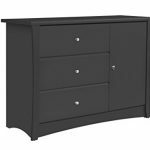 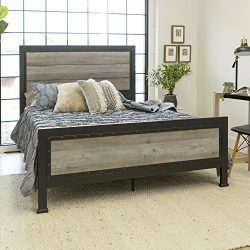 The Dresser ships flat to your door and requires assembly upon delivery. 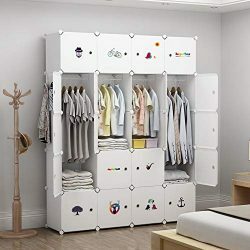 Two adults are recommended to assemble. 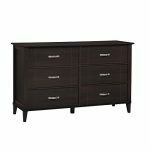 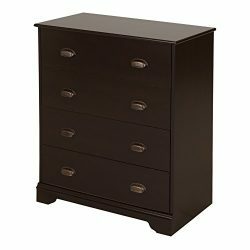 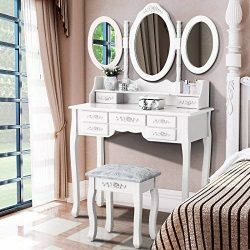 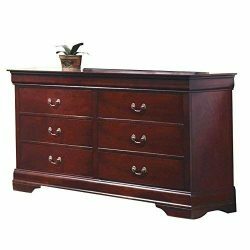 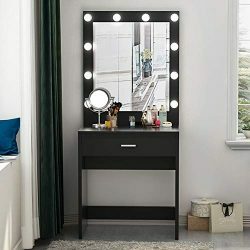 Once assembled, the Dresser measures to be 40.3125H x 27.6875W x 15.6875D.